BRYAN EATON/Staff photo. Jenny Putnam cleans off her car as son, Jamie, 13, moves snow as cleanup from Tuesday's storm continues. 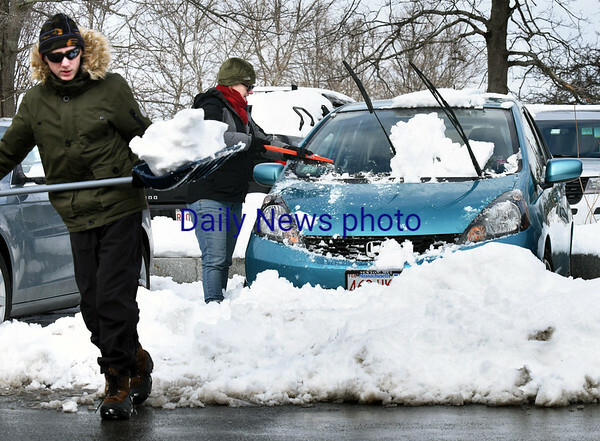 The residents, who live nearby, were parked in Newburyport's Green Street Parking Lot for the snow emergency.